“It is time to rumble with our stories about women’s philanthropy,” says Loehr in the first chapter of the book, referencing a Brené Brown concept about rumbling with the truth to find the real story. In the introduction, Loehr describes a method for asking questions called Appreciative Inquiry, which “involves the art and practice of asking unconditionally positive questions” as a way to increase potential, by maximizing imagination and innovation in the responses being elicited. 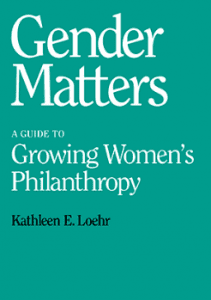 Loehr has written the book with an Appreciative Inquiry framework, which informs much of what Loehr recommends in terms of a strategy for approaching women donors. In the book, Loehr combines the ideas of Appreciative Inquiry with an approach to leadership that works to align strengths in an organization, so that weaknesses are so insignificant that they are not even worth noticing. With these approaches in mind, Loehr starts with a call to look more closely at the data about the donors you are trying to reach. With specific examples guided by fundraising campaigns of colleges like Duke and William & Mary, Loehr demonstrates how a closer look at the data yielded a decision to shift fundraising approaches in order to collect the unharvested revenue of women’s giving. By doing so, Loehr helps drive readers toward the next big step in carrying out their plan: declaring a vision. Through the process of declaring a vision, Loehr shows how intention is amplified, resulting in a stronger approach that will pull in donors, particularly women. Loehr also calls on fundraisers to build networking and collaboration into their vision, since research shows that women are more receptive to giving when they see themselves as joining with other women on a similar mission and participating in design of the project. What has been your most exciting experience in giving? It does not need to be related to this organization. Tell me the story. What happened? What enabled this gift? What role did you play? What role did the organization play? What role did the staff person play in relationship to this experience? What else made this experience possible? Loehr suggests that asking these questions help women donors contextualize their giving experience and focus their attention on remembering what that experience was like for them. While such an approach might sound obvious, it is not in the old playbook of “best practices” for development and fundraising professionals. Loehr also highlights significant research for guiding the ongoing donor-grantee relationship, including how much to communicate with women donors. 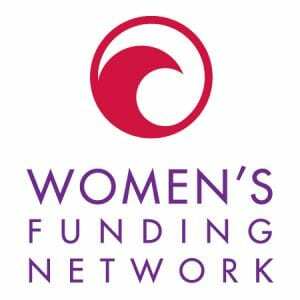 “It is unlikely that women will feel they are getting too much communication,” writes Loehr, a research-based insight that is important to keep in mind when redesigning fundraising campaigns with women more in mind. Gender Matters is an important new resource for those who see the potential for women’s giving to influence both philanthropy and civil society as a whole. The guide will help readers notice their own assumptions and how they might be driving their behavior, so they can imagine and explore better ways to reach women as philanthropists. Learn more about Gender Matters here.